← Wordy Wednesday: Whose Nose Is Better? These Ground Hogs are such funny weather predicting creatures. 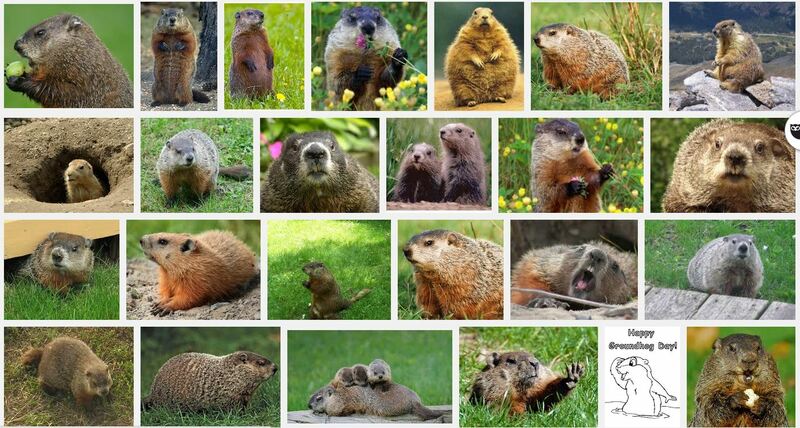 They have names like woodchuck, land-beaver, and whistle-pig. Our regional prognosticator is named Punxsutawney Phil. Phil is known as the “Seer of Seers,” the “Prognosticator of Prognosticators” and the “Most Photographed Pennsylvanian.” People in Pennsylvania dress up in top hats and tails and have this whole big event each year to see if we are going to have an early spring or late winter. Leave it to a rodent to let us know. Whether Phil sees his shadow or not today, this has been a roller coaster cold winter in the mid-Atlantic already. I plan on staying inside until summer comes. Update 2019 at 7 am. Phil did not see his shadow. We will have an early spring!! The daffodils are already up and budding, so I think and early spring it is. That’s okay with me. Wow. Daffies. You must be way south. Eastern Tennessee, so not that far south. They just seem to be up really early.